Agents, Here Are 3 Ways To Get Your Offer Accepted Over The Rest. Attention: This approach is for real estate agents who want to get their client's offer accepted by using a few creative techniques. Real estate prices are surging..
Are you beating the competition? Or...is the competition beating you. How many of your client's offers are not making it through to the final round?? There are a few tricks you can try to get your client's offer accepted over the rest. I was at a lunch meeting with a group of agents not too long ago and we actually were talking about this. A lot of them had some good ideas which we bounced back-and-forth. The most important idea that comes up again and again is this idea of the “love letter”. For those of you who don’t know what the love letter is; it’s basically a letter from your buyer to the seller. It says something about how much they love the property, how much they can picture themselves and their family using the property. It can even go as far as “I can see my wife and I making pancakes in your beautiful kitchen”. Its basic primary purpose is to get an emotional response and connect the seller with the buyer on an emotional level. This actually works pretty well, but the one thing that you need to watch out for is the fact that you can’t necessarily put the buyer’s picture in the letter because it’s against a lot of Fair Housing laws. Unfortunately, I’ve seen a lot of agents put their buyer’s picture in this love letter, which is a big no-no. So, if you’re going to do the love letter - and I encourage you to have your buyer submit one - refrain from putting the buyer’s picture in, ok? That’s just rule number one. If you are going to do it, please be very careful about your State’s laws regarding this. Another way, which I’ve seen a lot in this market (especially in the Los Angeles market) is including an “escalation clause” in the purchase agreement. An escalation clause is basically verbiage which basically says, “My buyer is willing to pay X number of dollars over the best bid for the property”. So whatever the best bid is for the property, essentially your buyer is agreeing to pay $5,000 or $10,000 (or whatever amount you specify) OVER the best bid for the property. So in a multiple counter situation and you add an escalation clause into your counter offer, often this is enough to get your offer through the competition and get it accepted. This is a good technique to use in a highly competitive market. Are you having trouble closing deals with the lack of quality housing inventory? 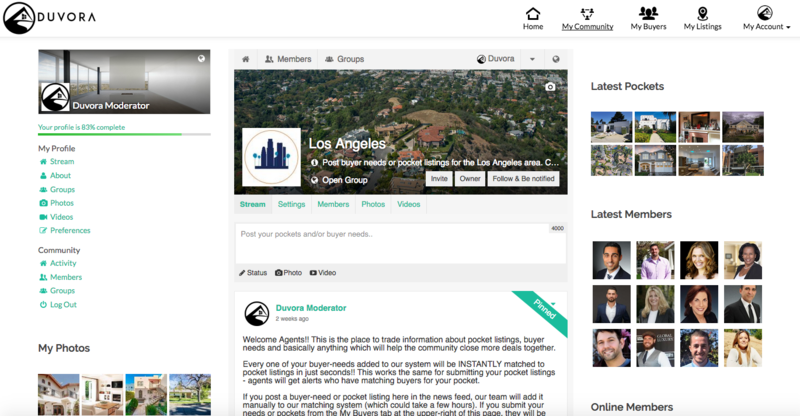 Inside of Duvora, we've launched our community for real estate agents. Get early access here. It's free. 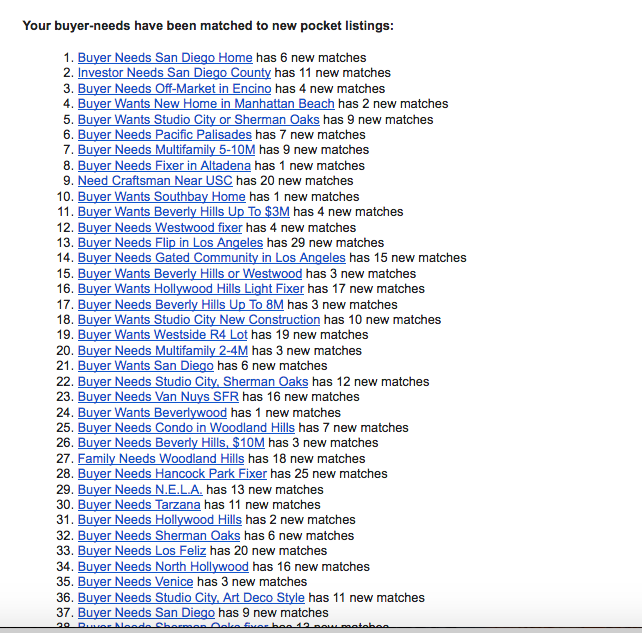 Our technology matches your buyer-needs with pocket listings and vice-versa - creating potential deals for you in seconds. No more searching, no more hunting down pocket listings for your buyers or buyers for your pockets....just post once and the system handles the rest. Lastly, a lot of agents feel that if they are the very last offer in (in a multiple counter situation) that it gives them an advantage. The idea is that you send the offer or counter offer in at the very last minute that you are fresh in the mind of the seller and your offer hasn’t been forgotten and shoved in a pile of other offers yet. I definitely recommend the first two techniques and I would highly recommend the escalation clause. Have your Transaction Coordinator or your Office Manager help you with writing that into your counter offer or purchase contract. If you have any suggestions .. please share and comment below. Duvora® is a real estate matching engine that instantly matches your buyer-needs to pocket and pre-mls listings, allowing you to close more deals quicker and more discreetly. . The Death of Real Estate Brokerages? How To Collapse The Housing Market in 3 Easy Steps.